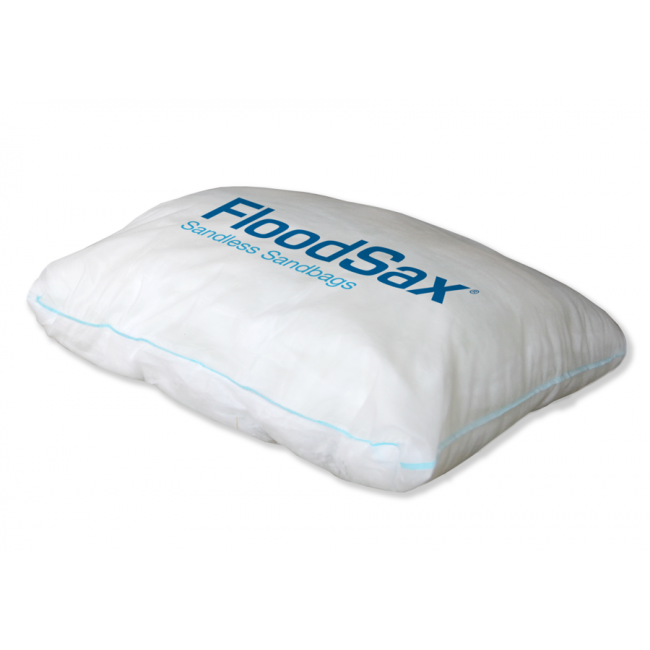 FloodSax are the innovative, self-inflating flood defence system set to revolutionise the way we control damage due to flooding. The semi-porous inner liner contains hundreds of absorbent crystals which absorb water to 90% capacity in just 3 minutes. Once the water is in there, it stays there and the bags act just like sandbags to keep floods at bay. Manage all flood and water damage events in any situation at a moments notice. Simply carry the leightweight FloodSax to the required location, take out of the bag, soak up the spilled water or use the flood-water to energise the bag and then stack if required, all within 3 minutes. No tools are needed and FloodSax will work in doorways of all sizes. FloodSax can also be used to build walls up to a metre high.